Have you been dreaming of a snowy white smile for Christmas? Let us help. Teeth whitening can be a great gift for that someone special! With so many options promising porcelain white results, knowing what is best for you can be difficult. There are four basic methods of whitening teeth. La Grange Dental Associates offers three types of teeth whitening to Chicagoland patients. We offer universal take home trays, customized take-home whitening trays and in office whitening. Both the universal and customized take-home whitening kits allow you to control the color change of your teeth in the comfort of your own home. Depending upon your desired results, we will provide special instructions to help you achieve your desired result. Patients love these options because of the comfort and flexibility they have over their whitening experience. Additionally, there is little to no tooth sensitivity during or after the treatment. If you desire immediate results, consider in-office whitening. Using a specially formulated professional whitening gel, you will experience a boost in the shade of your teeth in about two hours. This option is perfect for anyone who is looking for the quickest whitening experience possible. This method is often paired with the tray whitening so that you can maintain your bright new smile for a lifetime! Over-the-counter whitening products promise the same results to everyone, but fail to deliver. As with prescription medication, the over the counter products contain a fraction of the active ingredients compared to the in office materials. Everyone’s smile is unique and different teeth require different teeth whitening methods. While there are many over-the-counter remedies available to whiten teeth, nothing is safer or more effective than a treatment that is supervised by a dentist in La Grange, IL. A custom teeth whitening kit by the Chicago area dentists at La Grange Dental Associates, is among the best ways to enhance the way you look and feel about your smile. 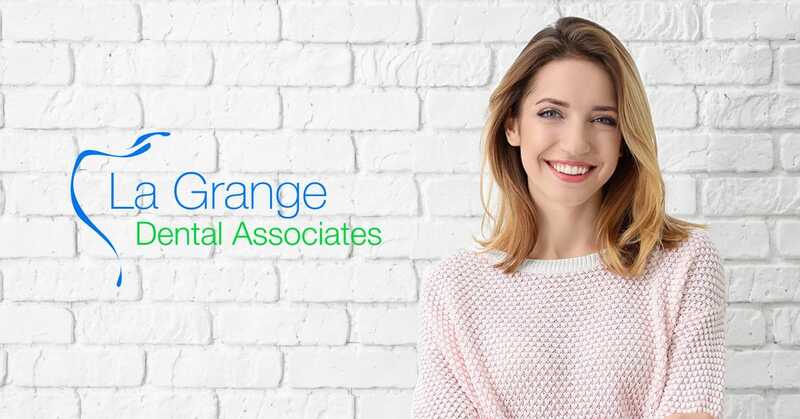 Discuss your smile concerns with our talented dentists by contacting La Grange Dental Associates today!